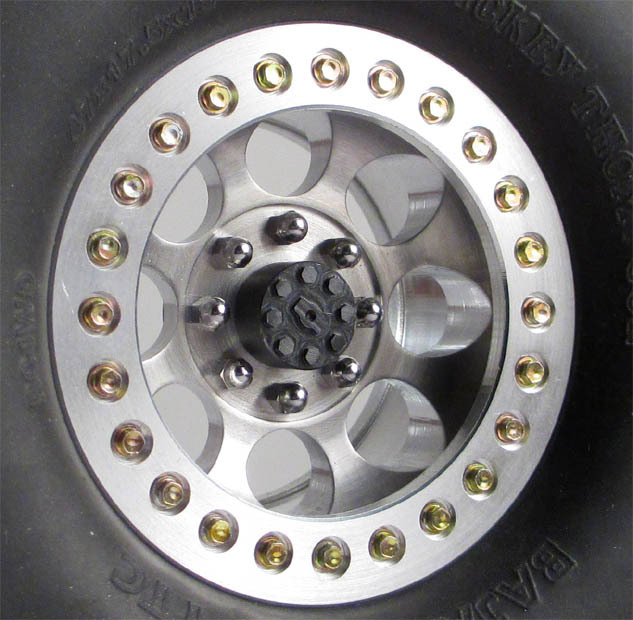 These Ultra Scale hubs replace your existing wheel nuts and thread on your M4 axle stubs. With pressed in nyloc style lock nuts you can be sure that they are not going anywhere! Please note that these hubs have been updated as of 1/26/16. The updated version features narrower & taller hexes on top of the hub. This gives you more to grab on to with your tool and a more scale look! 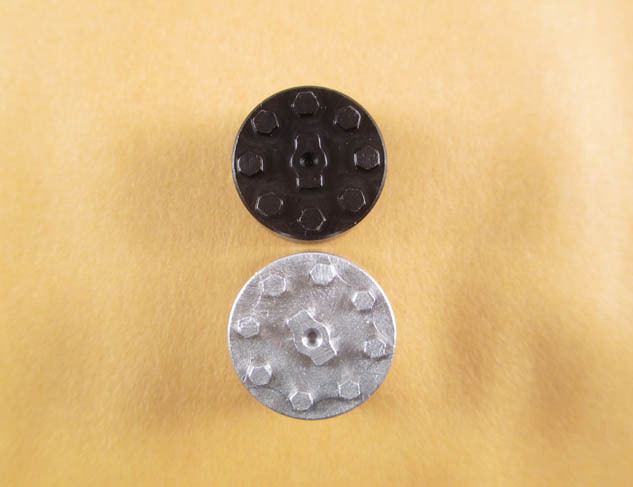 At less than 10.2mm in diameter, they are perfect for our wheels, Mayhem, VP and several others! 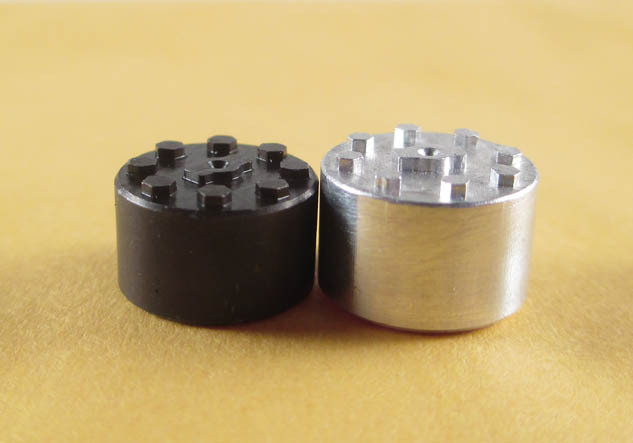 These are compatible with vanquish Products SLW style wheel hubs. The steel body is finished with black oxide to give a realistic 1:1 appearance. Since they are steel, they may surface rust over time for an even more realistic look. If you would prefer to keep the black look over time, a simple coating of gun oil will do the trick and of course they can be painted! 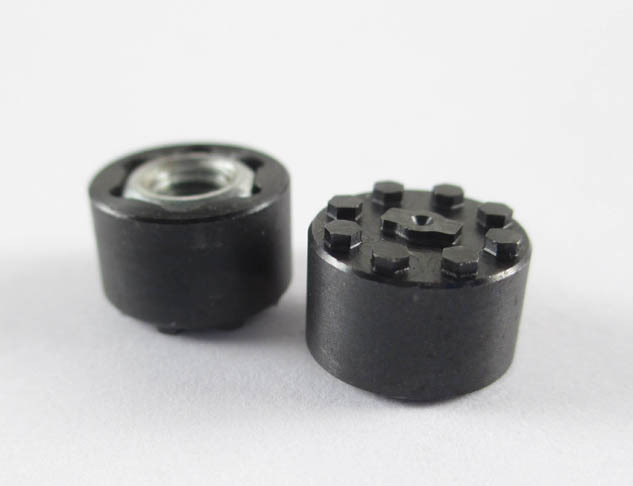 These hubs do require you to trim your stub shaft for fitment and will work with up to roughly 5.5mm of stub shaft protruding from the face of your wheel. You can see the below video for shaft trimming tips. 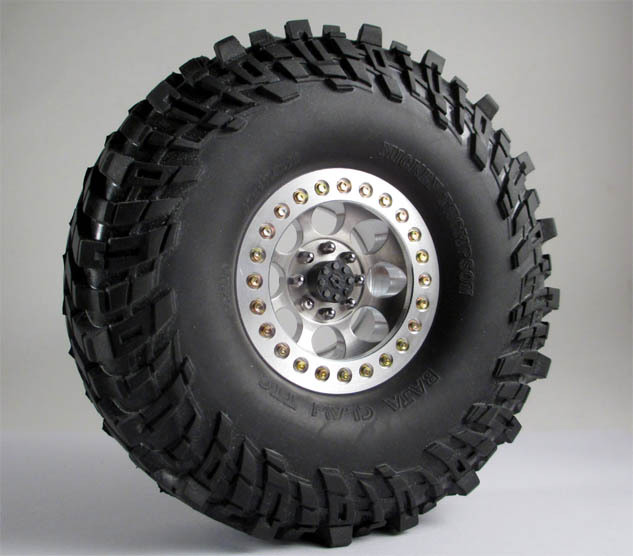 These are beefy, they really have just the right look for a trail truck too. Perfect for the 3/4 ton look. Could not be a cooler hub. The design fit the look of my build perfect. No issue getting hub (wheel nut) tight. Very nice quality. Looks so good!